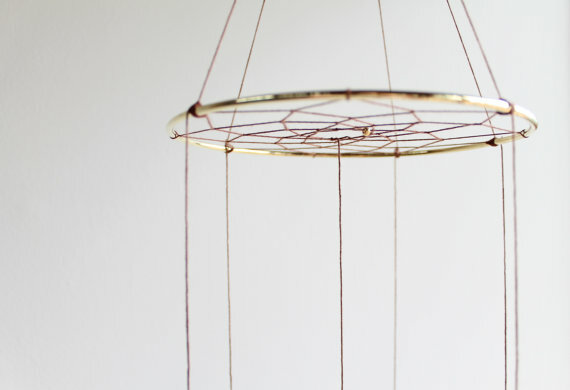 Not too long ago, Roam + Reason featured a floating dreamcatcher mobile by WhiteHall Farm. 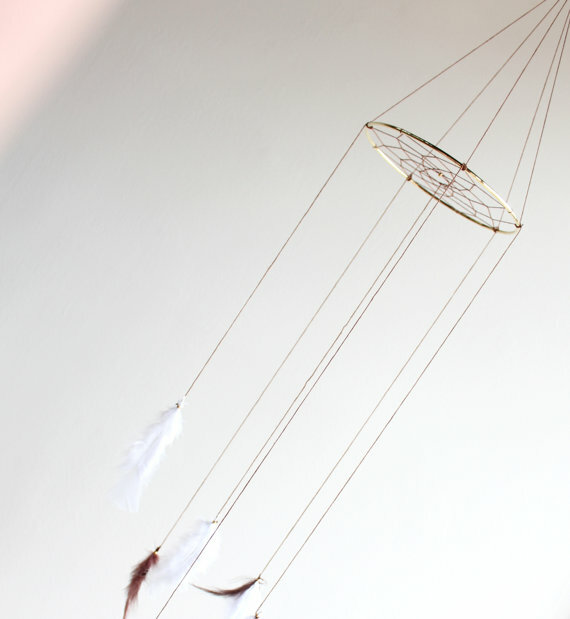 The adorable Etsy shop crafts beautiful mobiles, mostly for nurseries and children, but they also include funky, feathered dreamcatchers that can hang above slumbering heads of all ages. And now, this one can be yours! 1. Like both Roam + Reason and WhiteHall Farm on Facebook. 2. Comment on this post [in the form below] letting us know what color feathers you would choose if you won. 3. Bonus entry if you share this post from the R+R or WhiteHall Farm Facebook page! Contest ends 6/29 and the winner will be notified via the email address they provide in the comment form submission. 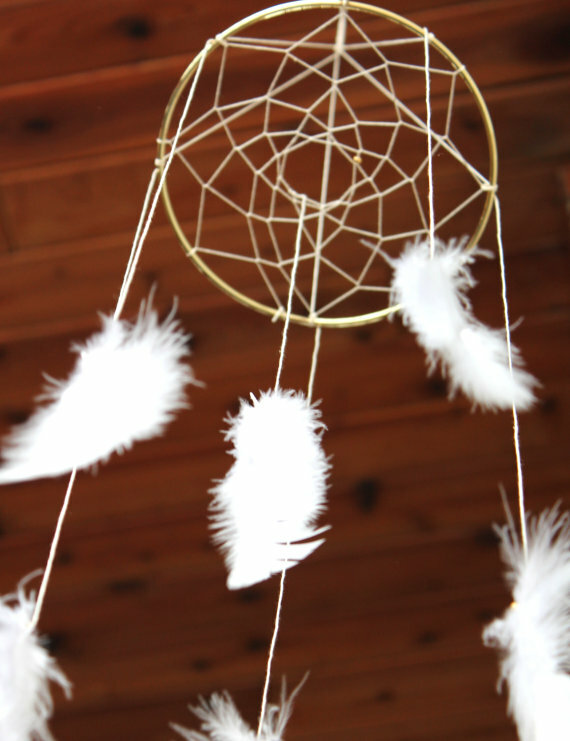 Fine Print: This giveaway is for one Feathered Dreamcatcher Mobile by WhiteHall Farm. 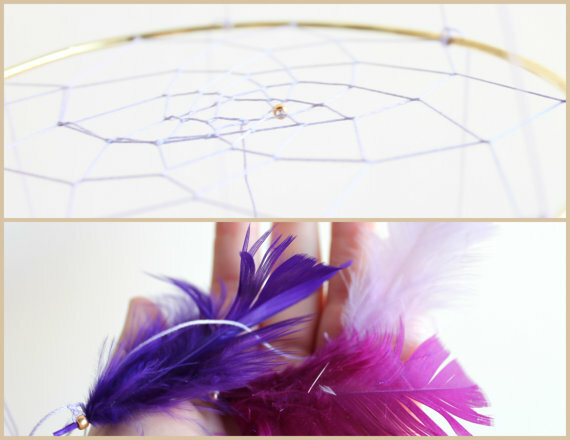 Winner will choose the colors of the feathers on their dreamcatcher mobile. This giveaway is non-transferrable. Those who do not comment on this post will not be qualified, as we need all entrants email addresses in order to notify the winner. Your email address is private and will not be distributed in any manner, and will only be used in the event that you are chosen as the winner of this giveaway. I would choose pink and purple for my girls. the color combination pictured in the last photo is what i like best. I would choose aqua and white. 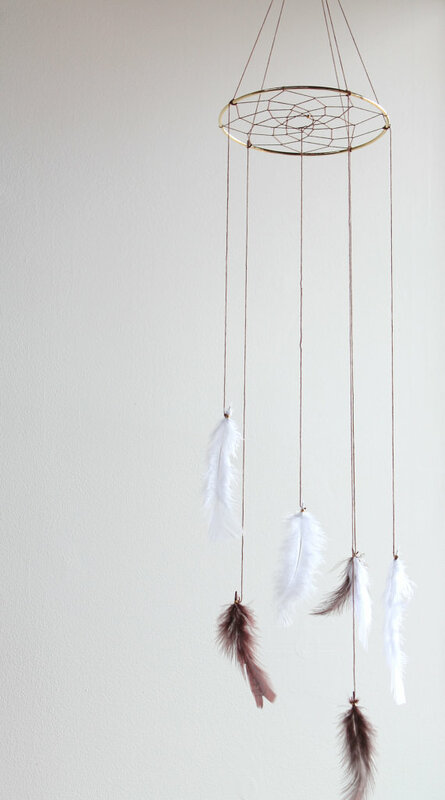 I adore this mobile. I would pick the brown and white look featured in the last picture. Oh my! Absolutely beautiful! Liked both pages on Facebook as Tina Tapia. I love the natural look of the brown and white feathers! Shared on Facebook as well! Thank you!